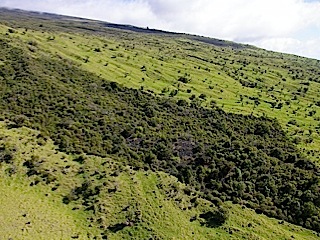 When the first Hawaiians glided their waʻa (canoes) onto the shores of leeward Haleakala, they beheld one of the tallest and most diverse forests in Oceania. They could not have fathomed that, today, less than 10 percent of these forests remain. And not just the trees are gone, but also the shrubs, fern, and mosses that made up the understory. Even the birds, who once called this native habitat home, have disappeared. Since 2003, the Maui Restoration Group and the motivating force behind it, research biologist Dr. Art Medeiros, have been trying to reverse this demise. On over 43 thousand acres stretching from Makawao to Kaupo, they’ve pulled literally millions of weeds and planted nearly 70 thousand native seedlings. Volunteers are the backbone of this effort. Trips take place on select Saturdays, at a dramatic 4,000-plus-foot work site—the experience will take your breath away.